I absolutely love Halloween and always go quite mad with decorations and costumes. 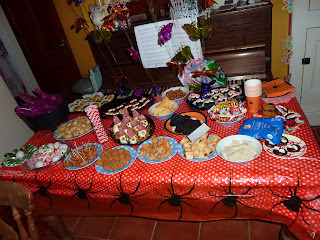 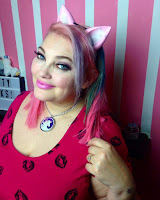 This year was no different and because my little girl is also now beginning to appreciate the fun that this spooky time of year brings we decided to throw a big party for her and her friends. 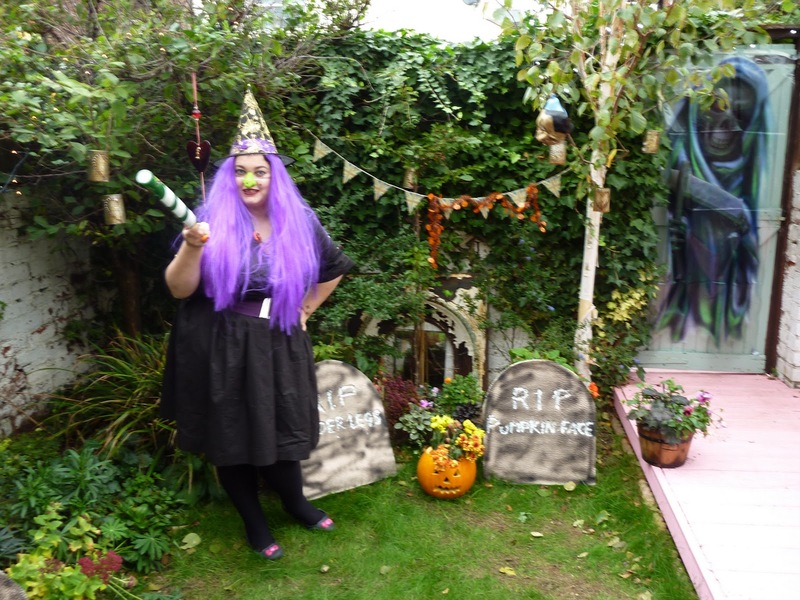 I love to devise new games for parties so decided to create a spooky treasure hunt in our garden. 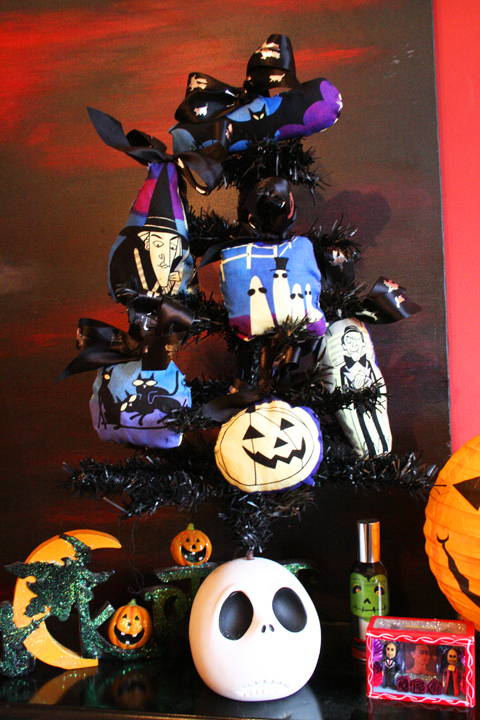 Using large blocks of polystyrene which I brought from a DIY store I cut out headstone shapes and carved silly names into them. 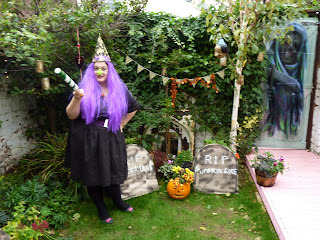 A quick spray of black paint and they turned my garden into a graveyard. 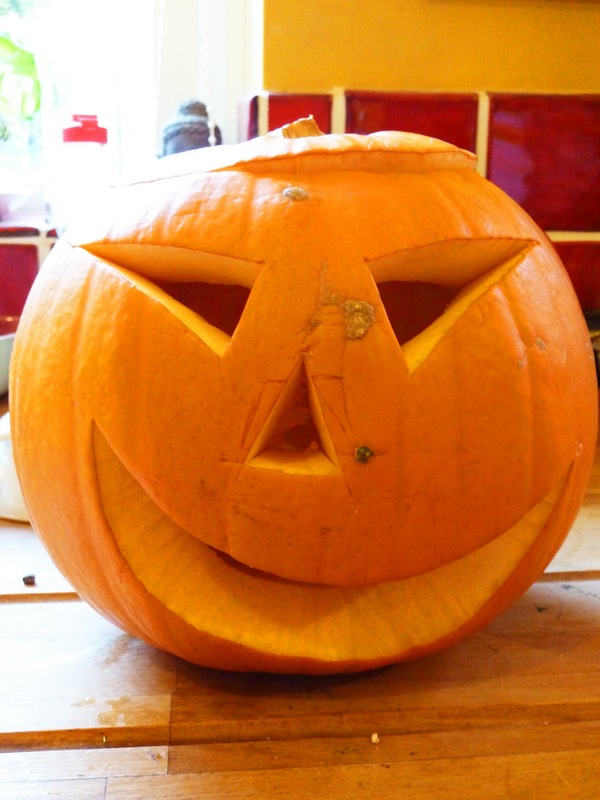 No Halloween celebration would be complete without plenty of pumpkins so I carved lots of them in various designs so I could have them inside the house, in the garden and of course one by the front door. 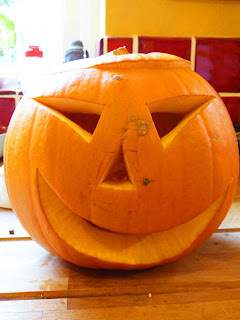 I used a simple pumpkin carving set which I brought from pound land. 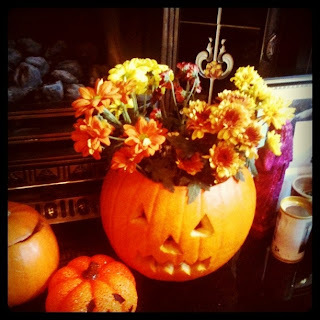 Seeing some orange flowers in the supermarket gave me the idea of using a pumpkin as a make shift vase. 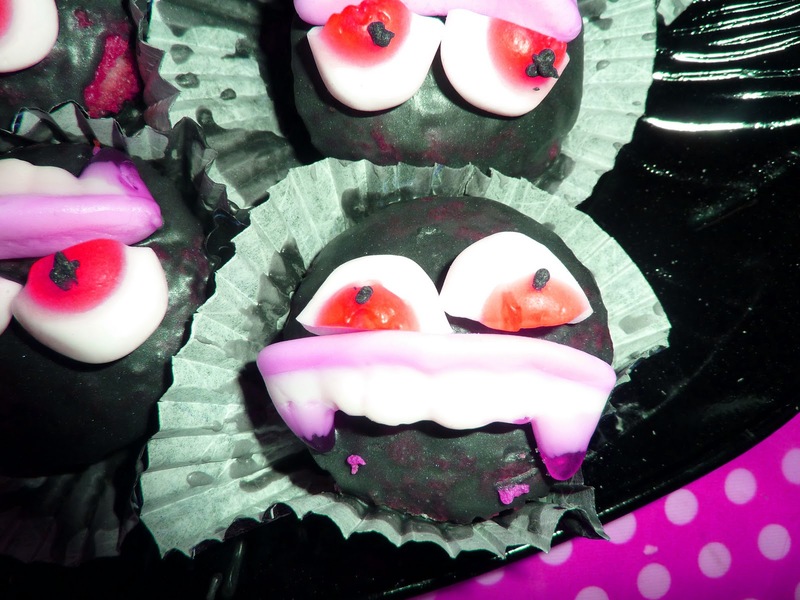 I also stuck fake vampire teeth in a few as well which looked very comical. 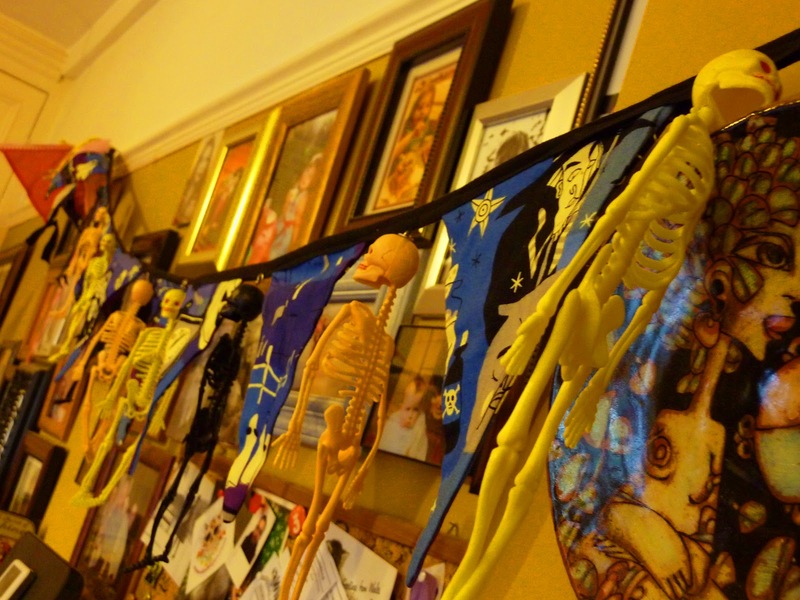 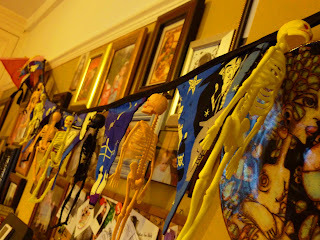 As regular readers of my blog will know I made my Halloween bunting and Halloween tree decorations a few weeks ago so they ensured the inside of the house looked suitably creepy yet festive. I also love these Pumpkin lanterns. 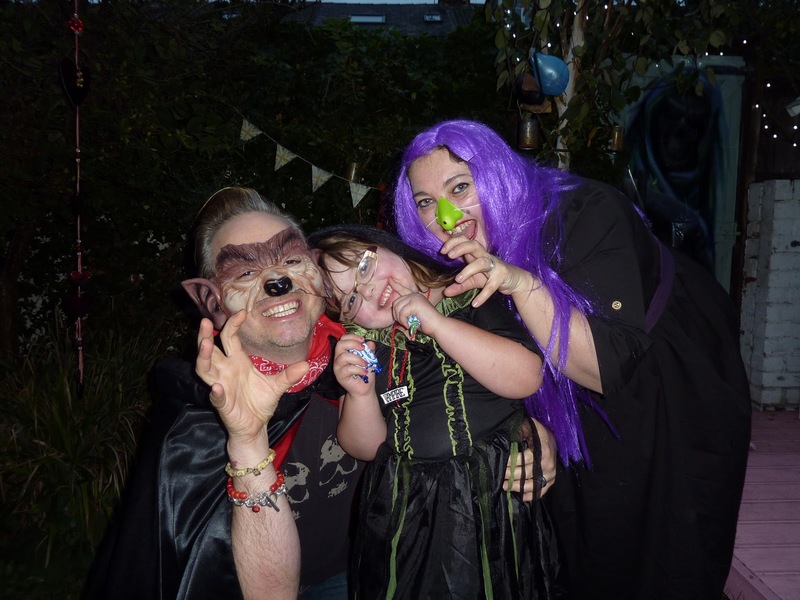 They look fab blowing from the trees in the garden and I also used one as a Halloween pinata which the kids seemed to particularly enjoy. Preparing Halloween party food is just such good fun. 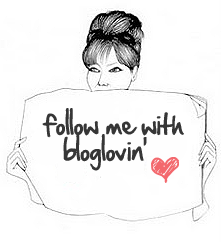 Anything goes. 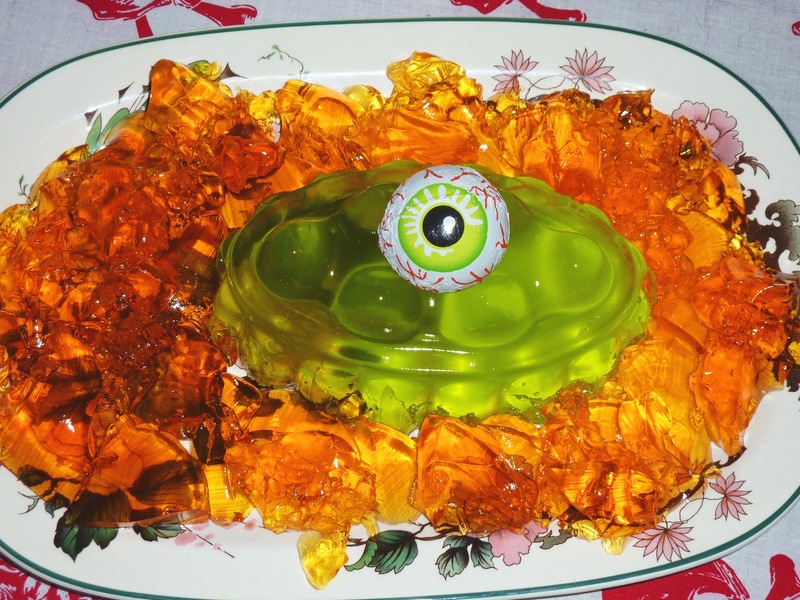 I recently picked up an old copy of Family Circle magazine from 1968 and the recipes were hilarious. I followed a few for this party including the egg witches with salami hats and olive eyes. 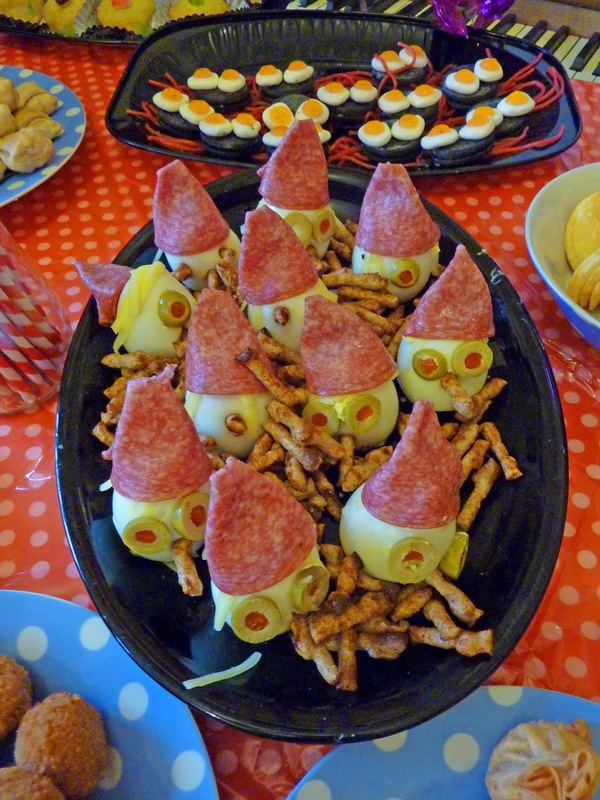 Hard Boiled Witch egg Anyone? 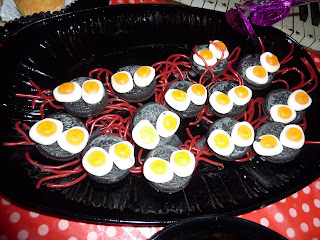 Anyone..
And Dracula Cupcakes which were just simple sponge cupcakes covered in icing with fang sweets and fried egg sweets which I coloured with red food dye. 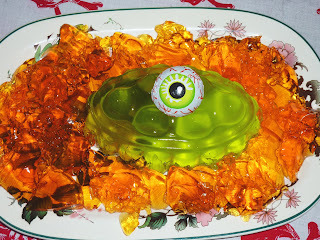 Kids always go mad for jelly so a nice slime green one with an eyeball centre piece seemed to go down well. 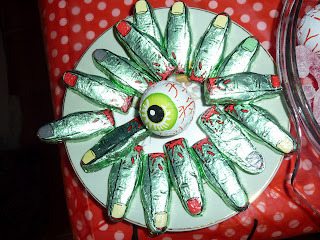 Add plenty of sweets (I'm particularly fond of the chocolate dead men's fingers) and away you go. For costumes this year I went for a Katy Perry inspired witch (any excuse for a purple wig) Nicky Rockets was a bequiffed werewolf and Baba was Dracula's Bride. Happy Halloween. 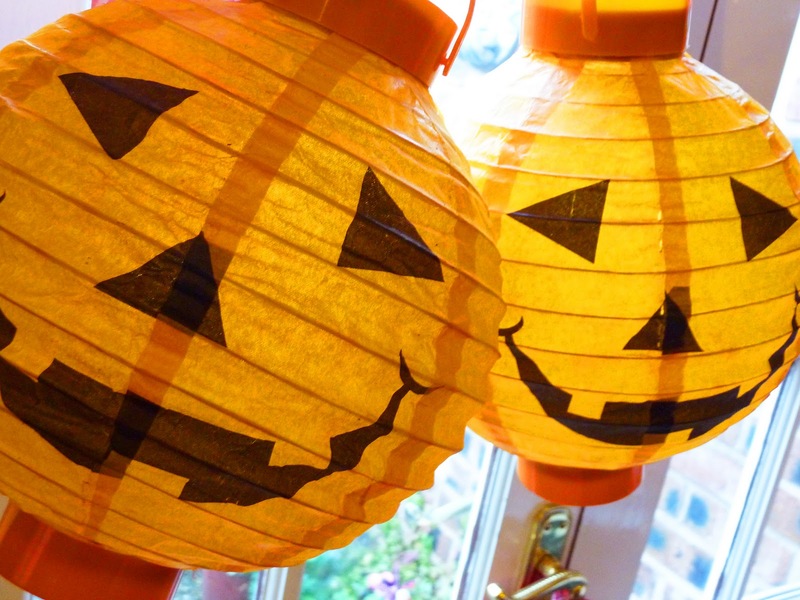 May your night be fun, spooky and involve eating many sweeties.